♦ Þýðingar: Norska bókaforlagið Skald heldur áfram útgáfu á bókaflokknum um skrímslin, en von er á norskum Skrímslaerjum (Monsterbråk) úr prentsmiðju þá og þegar. Áður hafa verið gefnar út á norsku bækurnar: Nej! 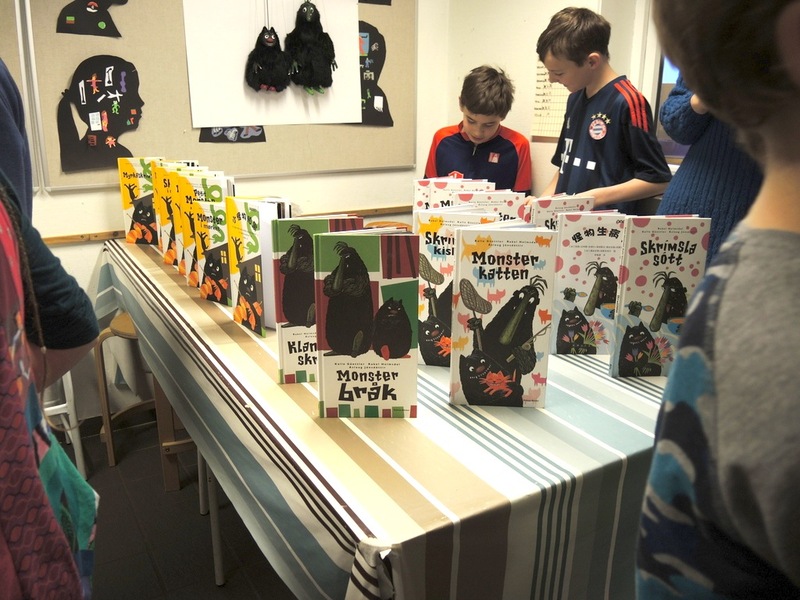 sa Veslemonster, Store monster græt ikkje, Monster i mørket og Monsterpest. 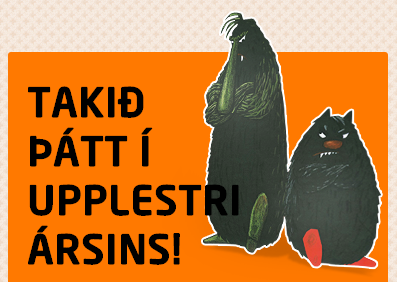 Hér má lesa kynningu á Monsterbråk á vef forlagsins. Í vetur verður bókin svo lesin samtímis um Norðurlöndin öll á Norrænu bóksafnsvikunni sem hefst 10. nóvember. 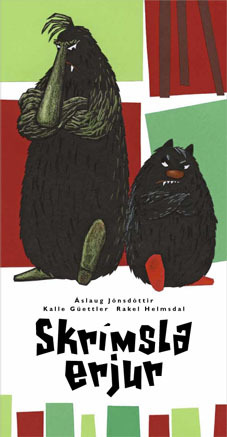 ♦ Translations: The Norwegian version of Skrímslaerjur (Monster Squabbles) is just about to hit the stores. Our publisher in Norway, Skald, has already an online introduction of the book. See the publisher’s website for Monsterbråk or read few pages from the book in the window below. 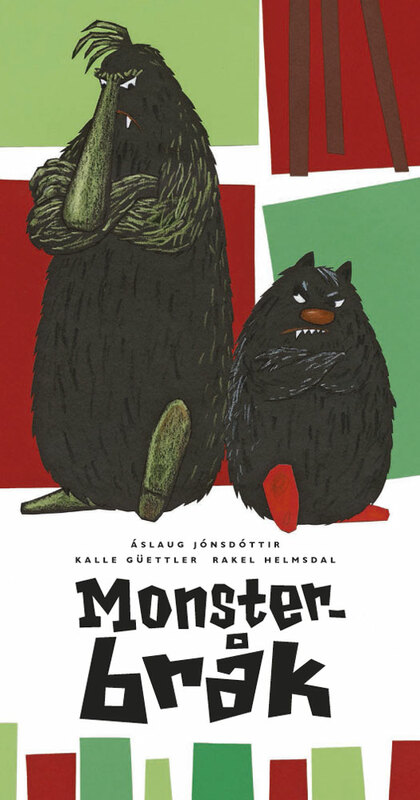 Monster Squabbles was also selected for reading in the annual Nordic Library Week 2014, starting on 10. 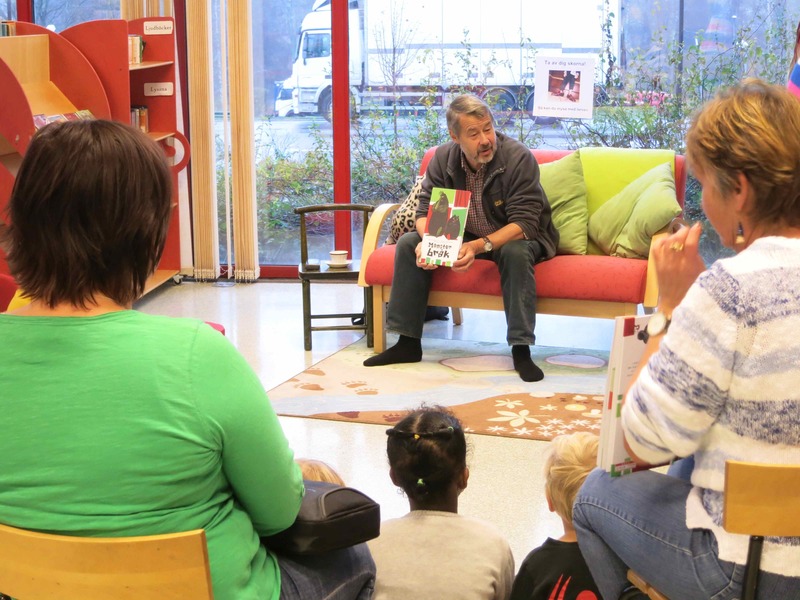 November with participation of libraries from all over the Nordic countries and Balticum.